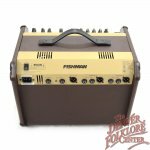 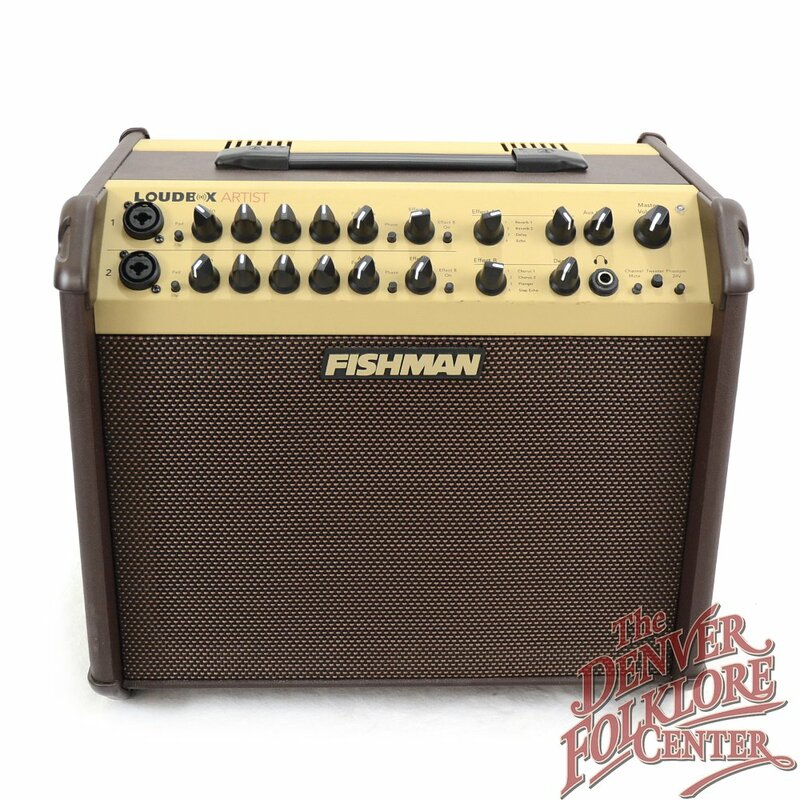 The Fishman Loudbox Artist is a powerful acoustic amplifier with a full range of features packed into a portable package. 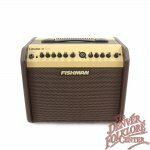 With 120 watts the Loudbox Artist provides plenty of acoustic amplifying power suitable for filling a small room or being heard outside. 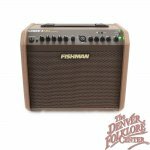 Two dual-purpose XLR and 1/4” inputs allow for a variety of easy input options and a built in headphone jack means players can use the built in effects and equalization controls without waking the whole neighborhood. 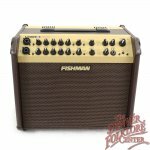 We can’t recommend the Fishman Loudbox Artist enough for players looking for a portable amp with a few more features and a little more volume.